Home>News of Metal Industry > Is a UK – China Trade Golden Era approaching? Is a UK – China Trade Golden Era approaching? In February, Mrs. May already ensured commercial deals worth £9 billion (US$12 billion) among the UK and China after Britain exits the European trading bloc officially – on March 29th 2019. 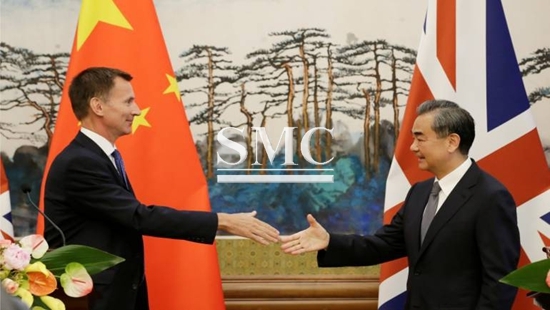 The recent visit by British Foreign Minister was to launch the clear message that Britain is open to trade agreements with Chinese companies after leaving the European Union officially next year. As Mrs. May specified, post-Brexit Britain will be a global Britain, thus relations with China are under consideration. Other deals will potentially involve the US, Australia and New Zealand. Although formal talks cannot begin until the UK officially leaves the EU, a deal among China and Britain would oppose trade protectionism and support global free trade. The countries would create joint development strategies and expand trade and mutual investments. So far, specific industries involved in the possible agreement have not yet been said, but British Ambassador to China Barbara Woodward says ‘we will be able to export British beef into China, and there will be more UK petrol stations setting up in China’. EU membership has been never barrier for Chinese investment in the UK. China has always considered the UK’s standing for free trade ‘tuned’ with Beijing’s view. Moreover, many Chinese companies chose London as a possible pathway to Europe. Yet, this may change after Brexit and other financial centres may take advantage, including Dublin, Luxembourg and Frankfurt. Yet, there are good reasons for holding that a trade deal of China with the UK will be more likely to happen than with the EU. Firstly, it will be easier for China to stipulate agreements with one country, rather than twenty-seven. Secondly, recent progresses in connecting London's Stock Exchange with Shanghai's Futures Exchange create good hopes. Thirdly, both countries expect huge benefits to derive from a cooperation in the ‘Belt and Road project’. The ideal outcome for the post-Brexit UK-China relationship would be a comprehensive free trade agreement (FTA). Yet, this will very much depend on what kind of Brexit will finally be agreed with the EU. At SMC our relation with the UK dates back to 1999. We are global exporters in our industry and we follow global political and economic developments very closely. We are passionate about our markets and we proudly supply our customers with a wide range of high-quality products. For more information, visit us at https://www.shanghaimetal.com/.